Earlier this month, there was information that, LG could be the first third-party manufacturer, which will start to update their devices to Android 6.0 Marshmallow. 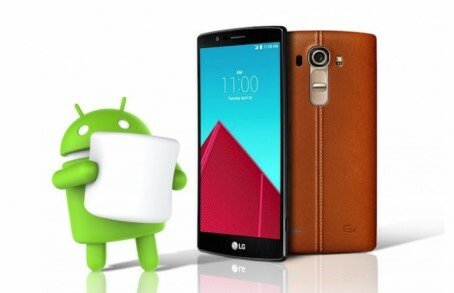 Recall that last year, LG G3 updated to Android 5.0 Lollipop even faster than some devices from Google.Now the company has officially confirmed the information, saying that the owners flagship smartphone LG G4 among the first to receive the update to Android 6.0 Marshmallow. “The owners of the smartphone LG G4 were the first to get an upgrade to the operating system Android 6.0 Marshmallow. Owners of this device from Poland will receive the update next week, followed by the update to Android 6.0 will be available in Europe, Asia and America,” – officially declared by the company LG. “By working closely with Google LG managed to release Android 6.0 for a G4 faster than our competitors. However, speed is not an indicator of quality of service, but LG has gone a long way to give consumers confidence that their company’s service in the first place” – said vice-president and director of marketing communications LG Mobile Chris Yeh. Unfortunately, the company has not said when the update will be available in other regions and when to wait for the owners of Android 6.0 LG G3.